There are few seaside towns in the UK quite as quintessentially English at Southwold. Think of a bygone era with colourful beach huts lining the promenade, a stroll on the pier to catch the sea air, a wander through the High Street lined with unique shops, boutiques and cafés, and you’ve arrived in Southwold. 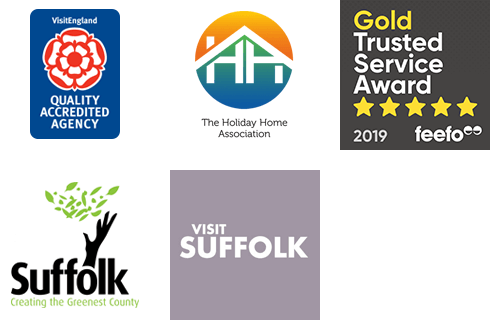 We have a fabulous selection of holiday homes in the heart of Southwold and in the surrounding towns, villages and countryside, giving you the ultimate choice when booking a holiday or short break on the Suffolk Coast. Click the 'read more' tab for a brief overview of some of the surrounding towns and villages, or for more detailed information visit our Southwold Area Tourist Guide. Southwold’s closest neighbour is the village of Reydon. With a village shop, local pub, and a thriving local community, Reydon is just a short cycle ride or bus trip to the town’s attractions. Other neighbouring villages include Wangford, and Wrentham. Just over the River Blyth and a short walk or ferry ride away is Walberswick. This tiny village is brimming with character. A handful of tea shops, pubs and shops surround the village green, just a stone’s throw from the river, where crabbing is a favourite pass time. Move inland from here to Blythburgh, another quaint village, famous for its haunted church stories and delicious Blythburgh Pork. Heading inland North West of Southwold is the delightful market town of Beccles. Set on the River Waveney, which flows through Oulton Broad and out to sea at Lowestoft, the UKs most easterly point, the town is a vibrant place to stay or visit, with its beautiful church, wonderful selection of shops and eateries and some fabulous views across the marshes. Take some time to browse through our collection of holiday cottages in Southwold and the surrounding area. We’re sure you’ll find something just right for a truly special Suffolk holiday.